Avizia announces updates to leading telehealth products, ensuring any patient can receive care from any specialist in any location. Reston, VA – June 9, 2016 – Avizia, a leading telehealth solution provider, today announced advancements in its offering to enable better coordination, communication and treatment throughout the care continuum. With the company’s newest offering, the Avizia ONE telehealth platform, hospitals and physicians can improve how they are connecting patients to specialists and sub-specialists from anywhere, at any time. There are many moving parts to enabling virtual care, including video calls, phone bridging, messaging, notifications, queuing and call center coordination. 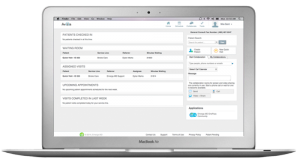 The Avizia ONE platform provides a simple and flexible workflow solution that tightly integrates with video endpoints and medical devices, while sitting on top of an EMR, giving hospitals and physicians a menu of tools to operationalize their telehealth. With this updated suite of products, Avizia is offering hospitals and clinics around the world a complete telehealth solution to address the most pressing patient and doctor needs. The core of Avizia’s telehealth platform is Avizia ONE, a scalable and cloud-based software solution that enables telemedicine while transforming hospitals to become more efficient and compete in today’s economy. 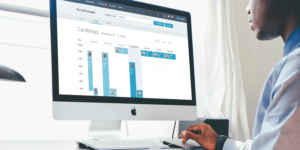 Unlike other solutions, Avizia ONE directly integrates with the leading EMR systems, and supports many specialty workflows, including stroke, behavioral health, cardiology and pediatrics, making it an easy to integrate solution for an entire hospital. Included is Avizia OnePass, a HIPAA compliant secure messaging app used by doctors and nurses to share patient updates and diagnostic images, making it easy to obtain timely advice and second opinions from other specialists. Where Avizia ONE contributes to streamlining clinical workflows, the OnePass app makes communication across care teams as easy as text messaging. The latest addition to the platform is myCare by Avizia. Sore throats and fevers cannot always wait until normal office hours. With the myCare app, patients can see a doctor from their hospital or clinic no matter the time of day or location. The app will be operated through individual hospital networks using Avizia ONE, ensuring patients are receiving care from physicians in their network who are covered by their medical insurance. Together, these products streamline the delivery of care while increasing communication and engagement to ensure that patients receive the care they need when they need it. Each month, more than 20,000 patient and doctor interactions occur on the Avizia ONE telehealth platform. Earlier this year, MyDocNow leveraged the Avizia One platform to expand its health service offerings in the Philippines. “Avizia’s platform is ideally suited to support our large scale deployment for public health purposes,” said Dr. Jose Miquel Vergara, Chief Medical Officer at MyDocNow. The organization’s goal is to use the best technology and video platform on the market to deliver care to all 100 million residents of the Philippines. “With the myCare platform we have the ability to transform how healthcare is delivered to our citizens. Helping them to better manage their symptoms and existing conditions will improve our national health, which is always our goal,” added Hugh McClung, CEO at MyDocNow. All three products are currently available, and Avizia’s experienced team of clinical and technical experts can mix and match components of the platform to connect patients, specialists and care teams anywhere in the world.